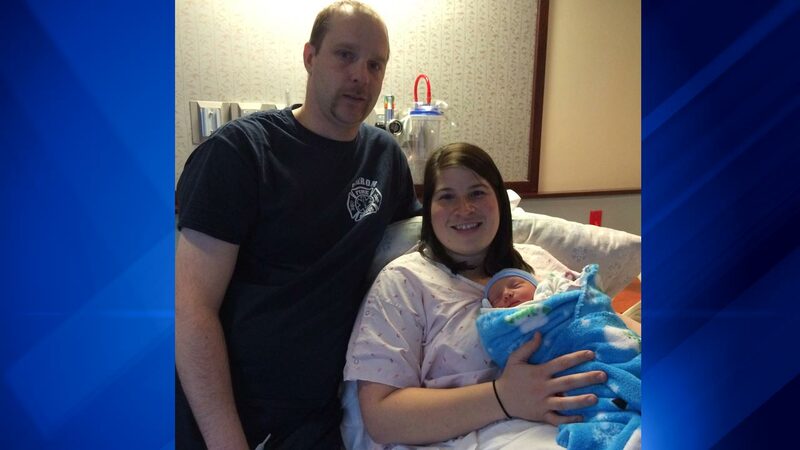 Illinois' first baby of 2015 born at 12:01 a.m.
BARRINGTON, Ill. (WLS) -- The staff at Advocate Good Shepherd Hospital did not have to wait long for the first birth of 2015. Megan Maise gave birth to a baby boy at 12:01 a.m. on Jan. 1, 2015. A hospital spokesperson said it was a special birth to the staff because Maise works at the hospital as a nurse in the Labor and Delivery department. Maise and her husband Nick named their son Maximus Edward Maise. Less than an hour later, the first New Year's baby arrived at NorthShore Evanston Hospital. Steven and Emily Schwulst of Wilmette welcomed baby girl Evelyn Mei at 12:58 a.m. Shortly after that, the first New Year's baby arrived at Northwestern Memorial Hospital's Prentice Women's Hospital. Mom Krystle Hernandex and father Carlos Hower welcomed baby boy Matthew Jay Hower at 2:04 a.m.
At Mount Sinai Hospital, the first birth of the new year did not arrive until nearly six hours after midnight. Diweni Ano gave birth to a baby boy named Valeriano at 5:41 a.m.
Arwen Zhu was the first baby born at NorthShore Highland Park Hospital. Her parents are Tianming Zhu and Peilan Zhou of Northbrook. She is their first child and was born just after 8 a.m. The staff at Advocate Good Shepherd Hospital did not have to wait long for the first birth of 2015.